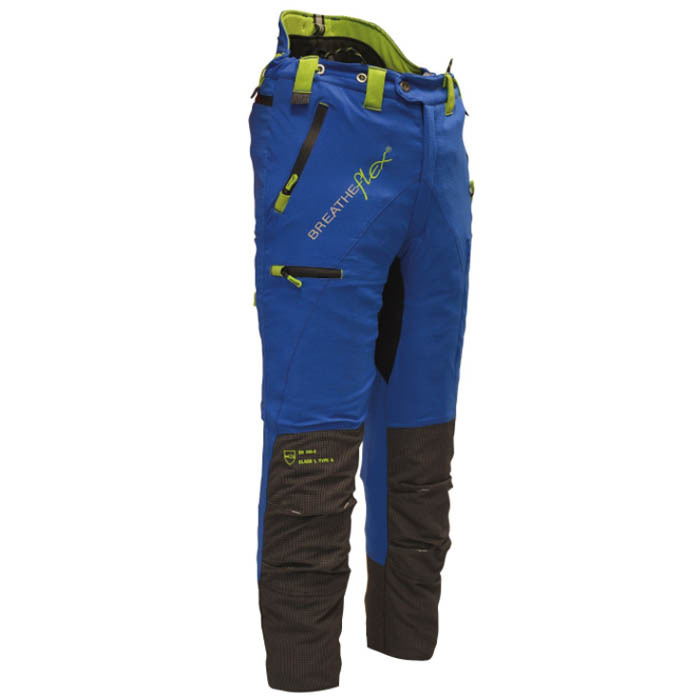 The Arbortec Breatheflex Pro Trouser has been developed as the next evolution in the hugely popular Breatheflex Range. As well as featuring all of the features of the original Breatheflex, such as 6 way stretch material, kevlar re-inforced lower legs and breatheable fabrics, the Pro verison features a super lightweight chainsaw blocking system using class 1 protection, Strong tool carrying loops, and an additional cargo pocket and waterproof phone pocket. The zips on the pockets are also covered with a waterproof and strong material to increase usage life. This version is the Type C protection, which is protection all round the legs.